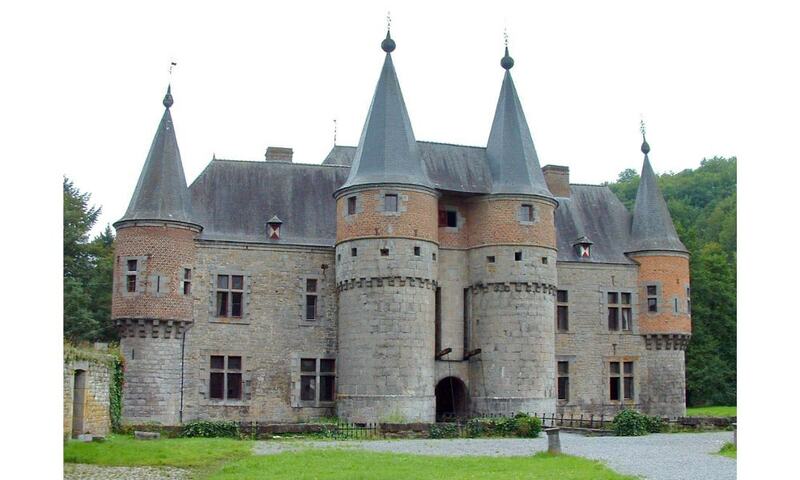 Spontin Castle is a medieval castle with massive walls, its towers topped with slate and a moat with drawbridge. The castle was built in a bend of the small river Bocq, whose water flows around the castle along some cascading waterfalls. From the late sixteenth century, the fortifications became redundant and unnecessary; as a result the castle was transformed into a residence by the drilling of windows and was accented with red bricks and roofs pepper. Due to mismanagement of previous owners the castle is now in a precarious state of neglect.